India is the second largest exporter of pepper in the world behind Vietnam with an annual production of around 70,000 tonnes. 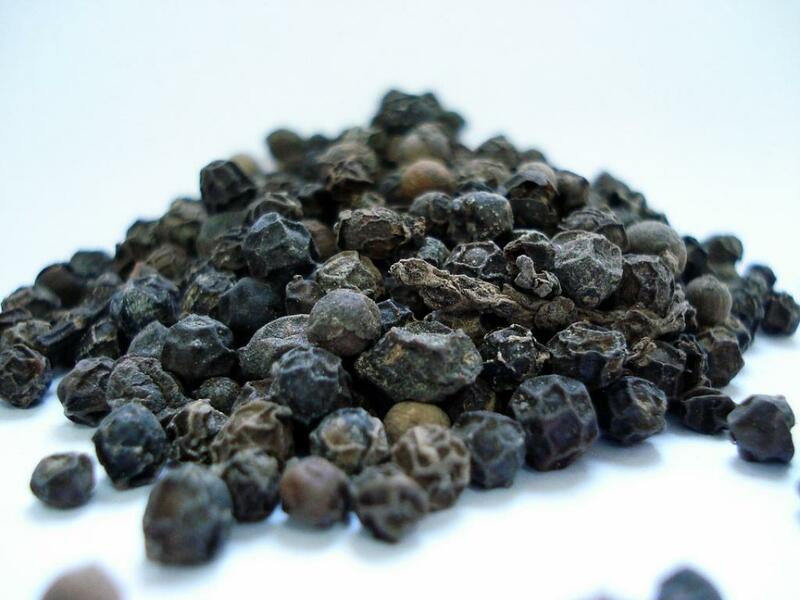 Despite that, the price of black pepper has come down drastically in the past year affecting pepper growers, who say import of cheap, low quality pepper from Vietnam and Sri Lanka is causing this drop in prices. The pepper from Vietnam is majorly being routed via Sri Lanka under the South Asian Free Trade Area agreement (SAFTA) and growers demand that black pepper be excluded from its import list. 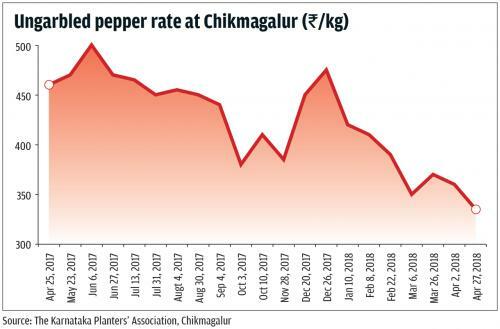 The Karnataka Planters Association (KPA) said the price of pepper has fallen from Rs 460/kg in April 2017 to 335/kg in April 2018. This is a drop of 27 per cent in a year. The KPA represents the plantation growers from Chikmaglur, Kodagu, Hassan, Chamarajanagar, Dakshina Kannada, Mysore and Shimoga districts in Karnataka. Karnataka is currently the largest grower of pepper in India at 33,000 tonnes and Kerala stands second with 28,000 tonnes. Fourteen associations of pepper growers from the three states — Karnataka, Kerala and Tamil Nadu — where it is grown, have even raised the issue before authorities. They had met commerce minister Suresh Prabhu in November last year and told him about the situation. This resulted in the government taking some steps to curb pepper imports from Vietnam. The Centre issued a notification in December 2017 fixing the minimum support price of pepper at Rs 500/kg. Later, the government also prohibited sale of pepper under Rs 500/kg. However, an exception was allowed under the advance authorization scheme for the extraction of oleoresin which is a natural admixture of essential oils and a resin obtained from pepper. Such steps brought the price of domestic pepper back up for the next few months but by April it again went down to Rs 335/kg. If this scenario continues, the Indian pepper industry is looking at considerable losses in the coming months. To add to it, Karnataka, where elections are due on May 12, this issue has taken a political turn. Siddaramaiah, chief minister of Karnataka, brought up the pepper issue at one of his rallies in Kodagu, according to a report in The Hindu. He accused the Bharatiya Janata Party president Amit Shah’s son Jay Shah of being involved in the import of pepper from Vietnam which has affected local growers. Siddaramaiah had also written to the central government highlighting the issue in November 2017. “If the present notifications do not help control prices then the government should ban import of pepper by bringing it under exclusion list,” Anil Savur D, secretary of KPA told Down to Earth. He also suggested other steps, such as limiting pepper exports to one or two ports and to monitor pepper exports for real value addition. In fact, the KPA has already requested the Director General of Foreign Trade to monitor pepper imports and confiscate imports of low quality pepper. In addition, the organisation wants “monitoring of good Indian pepper being exported as Vietnam pepper”.